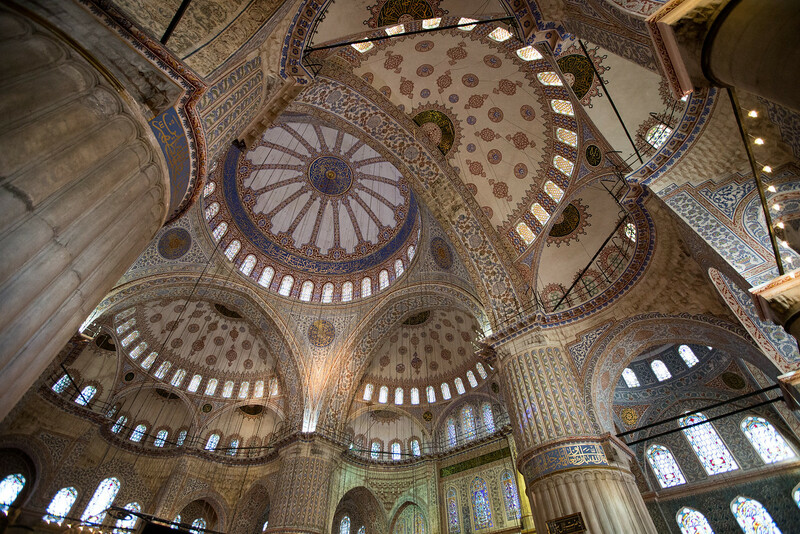 I recently had the opportunity to travel to Istanbul, the world’s fifth largest city, take photos and explore. Photography in Istanbul is really quite easy. 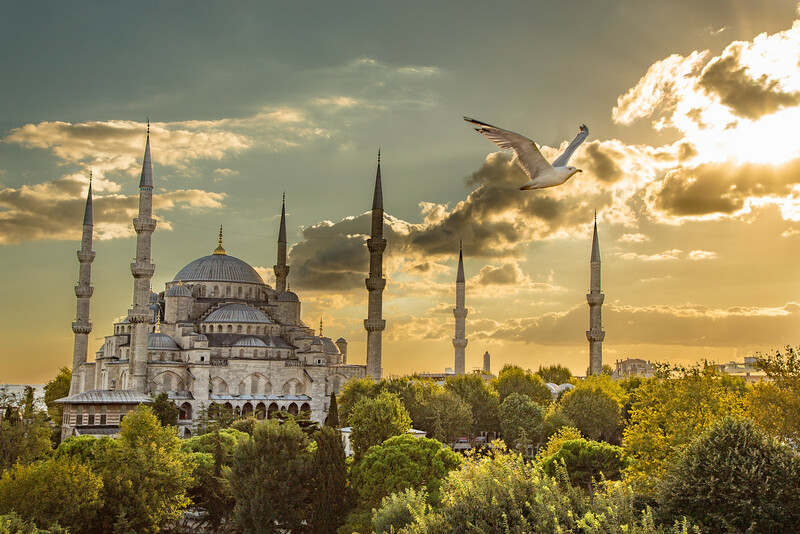 With its many layers of rich culture and history proudly on display, a relaxed, friendly and accepting atmosphere Istanbul is certainly a premiere photography destination. Turkey has been going through some difficult times lately, and the news seems to have scared off throngs of tourists. Although I enjoyed walking the uncrowded streets and being able to make photography of Istanbul without someone with a selfie-stick jostling for position every time I wanted to make a shot, even though I am retired, I couldn’t help feeling a bit sorry for the residents trying to make a living. If you have wanted to take your camera to Turkey, now may be one of the best times to visit: the whole country seems to be on sale! Photography in Istanbul is made even easier because there is something new around every corner and it seems infinitely changeable in different lights and from day to day. These are just a few suggestions to get you started. Keep Your Gear to a Minimum: You are going to want to wander the streets, and this means traveling light. For the most part I just carried my Canon 6D with what I have found to be my best travel lens, the Canon EF 24-105mm lens. For wide and some interior shots, I also carried my wide Canon 16-35mm f2/2.8L. A tripod may have been nice on occasion, but there are so many different directions you will want to point the camera, it would have just been a distraction. I wish I had brought a circular polarizer. Make sure you have plenty of battery power and enough storage. You will need it. 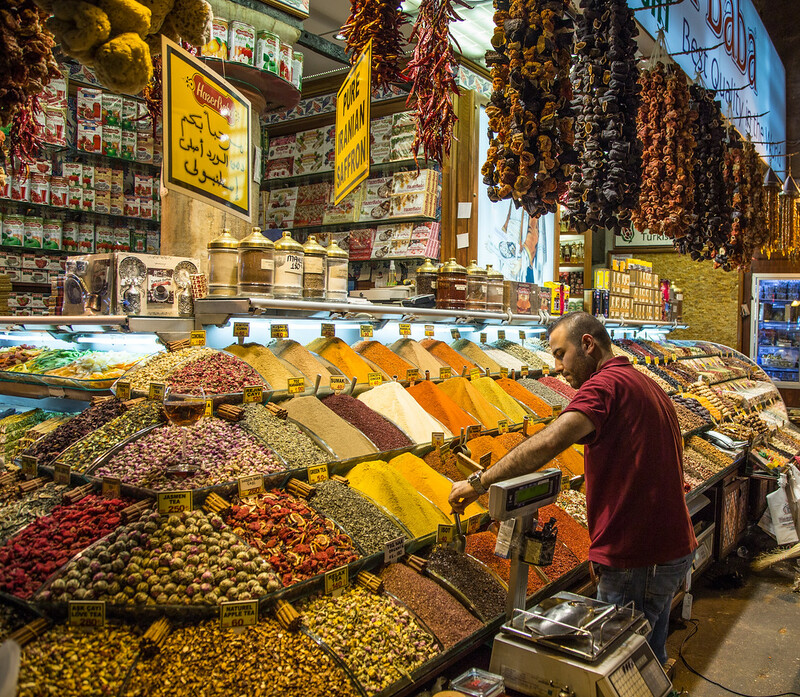 Get Around: One of the best ways to see Istanbul is on foot. 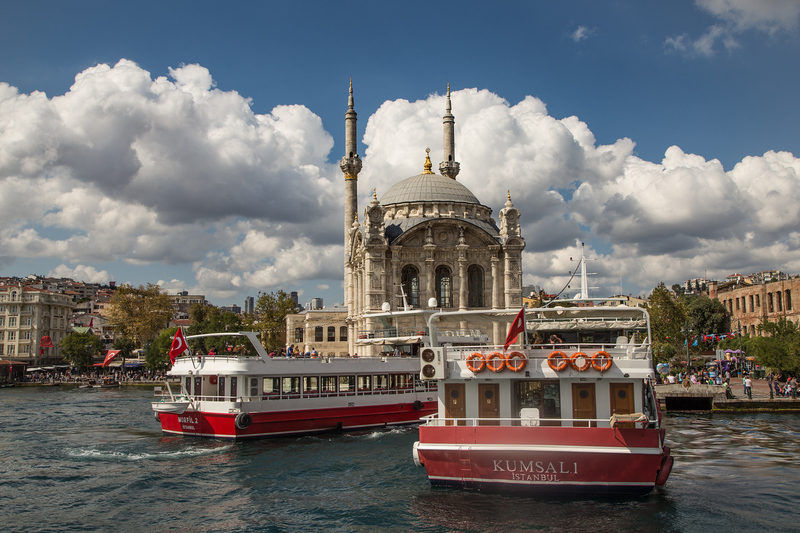 Many of the most popular sites are concentrated near or in the central Sultanahmet District, but there is also a modern tram system on the European side of the Bosporus and it is easy to get to Fatih district and the Egyptian Spice Market on the tram as well as out to some great Bosporus side restaurants in neighborhoods such as Besiktas. So I could get a view of Istanbul from a boat on the Bosporus, as well as a hilltop view of the Golden Horn from Piere Loti. I booked a boat/land tour to get a different view of Istanbul. I used several cabs, and they are reasonably priced, and the drivers seemed honest. The busses seemed reliable, but I didn’t try them. I do recommend taking your smartphone so you will have maps and can call Uber if you get turned around. Get High: Although there are many things to photograph at street level, finding some of the good shots require a bit of sleuthing and climbing. One of my favorite places for making images in Istanbul was in the Sultanahmet District at the Seven Hills rooftop restaurant. 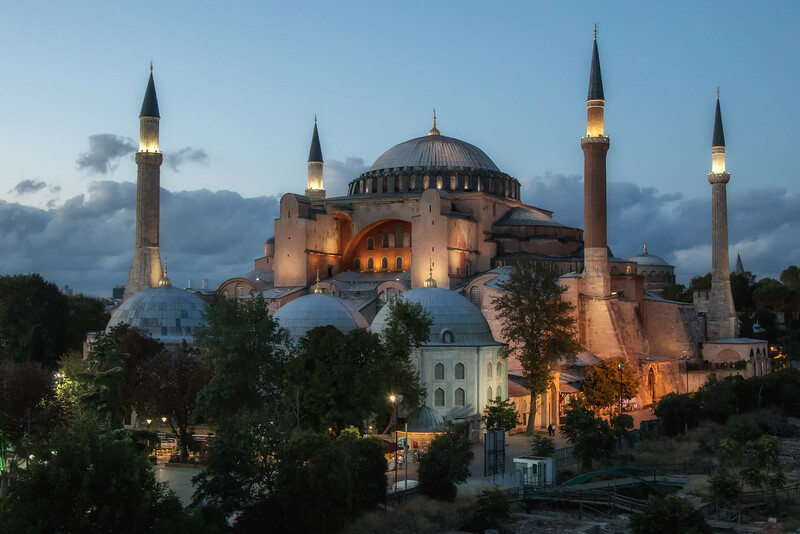 It had stunning sunset and sunrise views of both the Blue Mosque and the Hagia Sophia (and served excellent cold Efes beers). 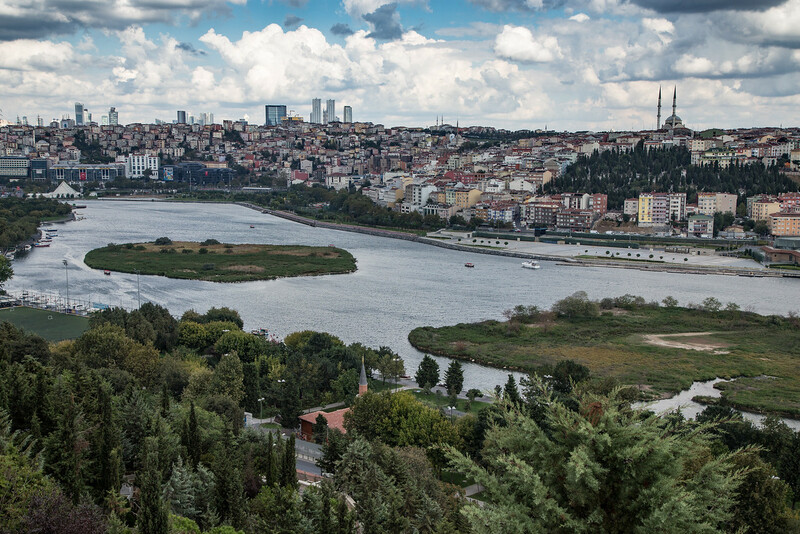 Also, for great views of the city and the Bosporus Straits, find a safe perch in one of the rooftop restaurants in the Fatih district near the Egyptian Market. I traveled all over Istanbul, using just normal precautions and, despite admonitions from well-meaning friends, at no point did I feel uncomfortable or unsafe. One photographer’s blog post mentioned covering their camera with duct tape to make it look scruffy and hide its value. I doubt that would fool any opportunistic, potential thief and, although to each their own; it seems to me to be a little unnecessary and paranoid. One thing carrying a professional DSLR does do is identify you as a foreigner, and you are therefore seen as a potential customer for every bored merchant smoking cigarettes outside of their sadly empty shops. But, if you have fun with that, make it clear you aren’t buying anything (if you aren’t), and engage with them, you will see much and learn more than you imagined you would ever know about Turkish carpets. Relax. Have fun!